While there have been many saints and sages in human history, the ancient traditions of humankind foretell a final Revelation, a God-Man promised for the "late-time" who will perfectly fulfill the deepest longings of the human heart. Adidam is established on the recognition that this all-surpassing Event has occurred. Ruchira Avatar Adi Da Samraj is the Divine Being of Grace and Truth Who authenticates the ancient intuitions. How did this come to be? There is a supreme Process entirely different from the demonstrations of great Spiritual beings who have, by heroic effort, Realized our higher human potential. That Process is the Act of Divine Descent — Real God, or Truth, or Reality, Manifesting in human form. This is the real meaning of "Avatar" — One "Crossed Down" to here from Above the mortal realms. There is another Process, Which Enters the conditionally manifested world from the Ultimate, Un-manifested, Perfectly Divine Domain. There is a Vast, Unlimited Domain of Existence, not qualified in any sense, not qualified as this conditional world is, or as the infinite variety of conditional, cosmic worlds is. And there is a Movement Directly Out of That Divine Domain, That Realm of Very Consciousness and Very Light. The Living Being Who Appears within the human world, or within any other world, by Coming Directly Out of the Un-manifested, or Un-created, Domain, the Heart-Light That Is the Truly Eternal Real-God-World, Is the Truly Heaven-Born One, Unique among the Great Siddhas. 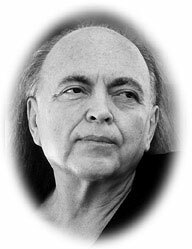 The Divine Being and Reality, Descended to here in the form of the Ruchira Avatar, Adi Da Samraj, is Responding to aeons of human prayers and sacrifice, as to an immense magnet. He is here to transform humankind, and more than humankind. He is here to illumine the very molecules, and even all of manifest existence. This is what He has been Doing since His Birth. For His human Birth was more than His association with a human body. His birth on earth was the initiation of an infinite and ongoing process. That process can be described as His "Emergence" — as a tangible, identifiable Presence in the heart of all that exists.